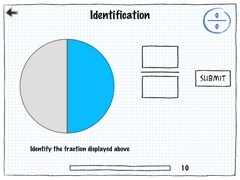 Fractions – £1.49 – Great visual app to teach fractions. Videos (link to Khan Academy) and slideshow to explain concepts. Students are able to take tests in different categories including identifying fractions to adding fractions. 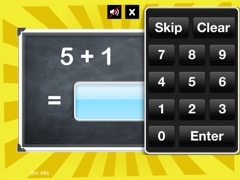 AdditionWiz – £1.99 – Useful app to test students addition knowledge. 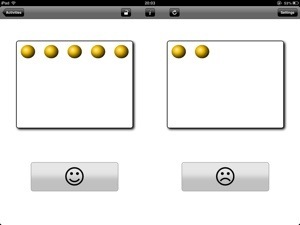 Allows you to choose between adding 1 to 5 to any number up to 10. Special Numbers – £9.99 – A suite of different activities that allow the learner to progress through counting, matching and ordering. 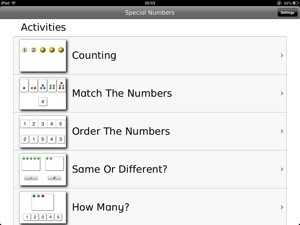 Lots of customisation available to tailor the activities to individual students targets. 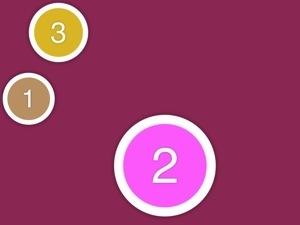 Counting Dots – £2.29 – Nice little app that helps students to learn to count. They have to press the correct number on the screen in order to progress. Increases by one each time. 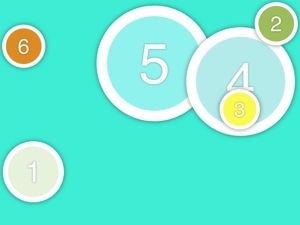 Little Digits – £2.99 – brilliant app that puts a different spin on counting. Students have to use their fingers to correctly count by touching the screen with the correct number of fingers. 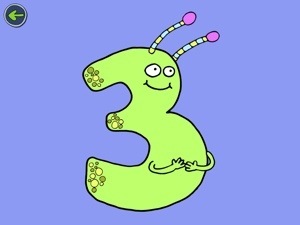 Gets them to associate the number on the screen with the number of fingers. 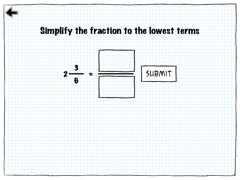 Also has simple addition and subtraction sums using the same concept.